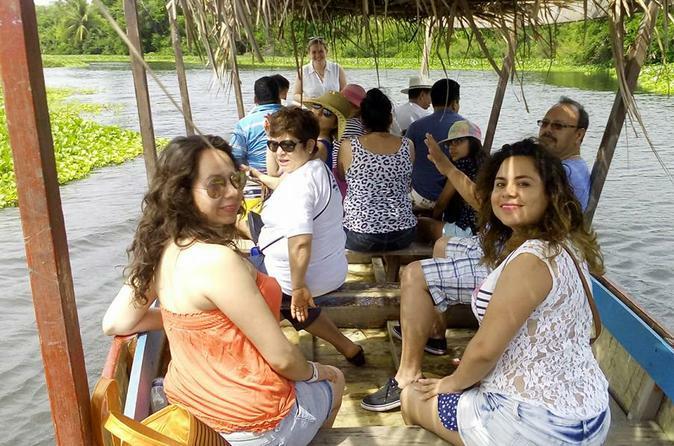 Explore the cultural and natural sides of Acapulco on a 6-hour guided tour by air-conditioned van and boat including a dramatic coastal drive, the Coyuca Lagoon and jungle, releasing baby turtles, and exploring the witch doctor market. Hotel pickup and drop-off, guide, air-conditioned van and driver, boat, beverages, and lunch included. This tour can be arranged as a private tour or a group tour. After pickup at your Acapulco hotel or at the cruise ship terminal, meet your guide and begin walking through the witch doctor market to learn how the natural elements sold here are still used in traditional medicine and ceremonies. Then enjoy a dramatic drive along the coast to the Coyuca Lagoon. Board a typical open-air boat to cruise the shoreline. Enjoy a coco loco (a fresh coconut spiked with gin) as you pass coconut plantations, jungle vegetation, and wildlife. Back on land, proceed to a local turtle rescue program to learn how locals rescue and incubate the eggs of endangered turtle species to protect them from predators and poachers. Nothing can prepare you for the feeling of releasing a baby turtle directly into the Pacific. After a typical lunch of fresh fish, grilled chicken, salads, tropical fruits, sodas, beer, and a well-stocked bar, walk or rest on the beach before returning to your hotel.